The NFL season is here, so you’re probably on the hunt for the best places to sit down for hours while you drink, eat, laugh, and maybe even cry during games (depending on how big of a die hard fan you are). 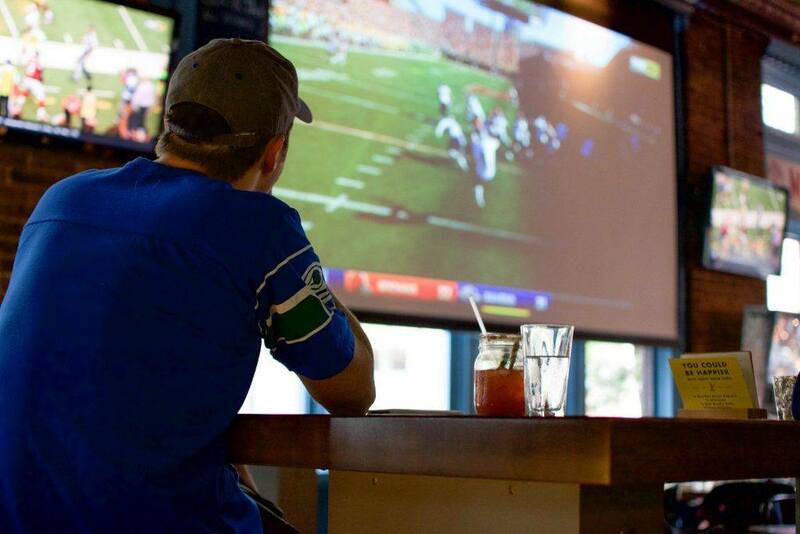 Luckily Vancouver has an abundance of bars and restaurants with a staggering number of drink deals and TV screens, so you won’t miss a kick, throw, or the chance to curse at the refs out loud with other fans. 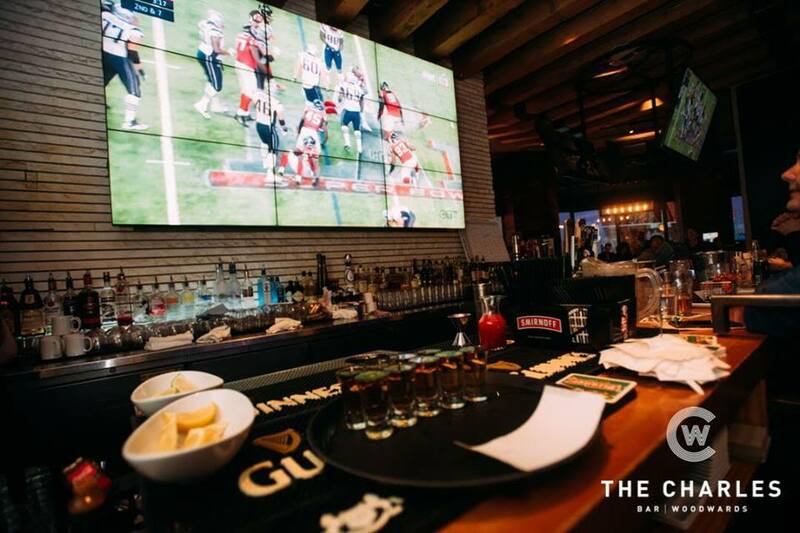 A great place to catch any game, The Charles Bar in Gastown boasts a nine-foot HD screen where they air games, along with throughout the restaurant. Football Club at Malone’s kicks off every Sunday at 10 am. 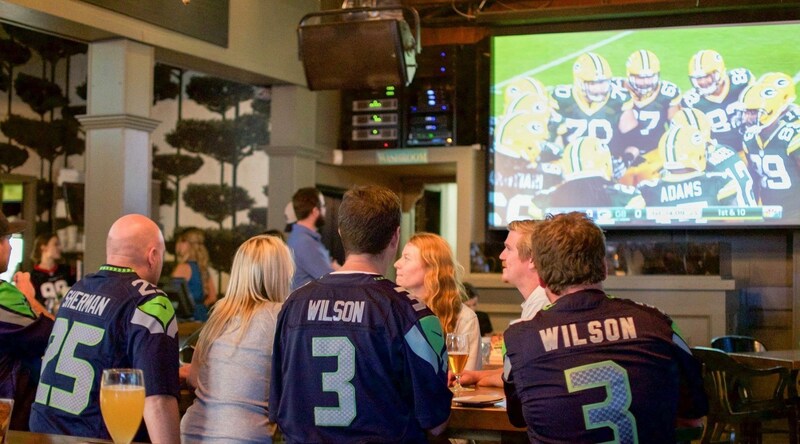 As the self-proclaimed “home away from home for the Seahawks” Malone’s offers a special Seahawks menu along with games, giveaways, and specials. Check out the schedule here and plan out your season shenanigans. 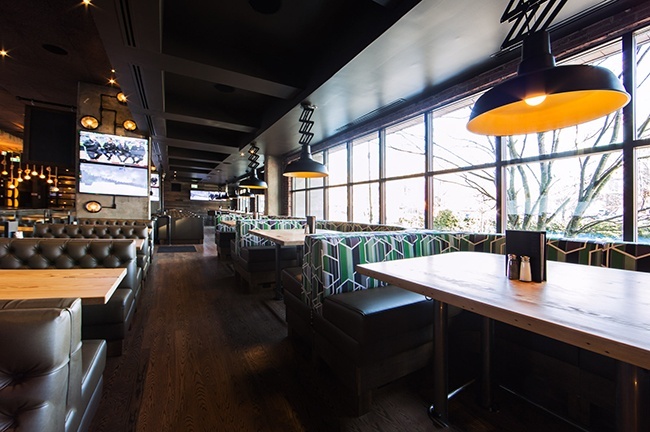 This sports bar and grill is a no-brainer when it comes to catching the game. Shark Club boasts as many as 60 TVs, which means the pigskin won’t be out of your sight for a second if you’re watching here. 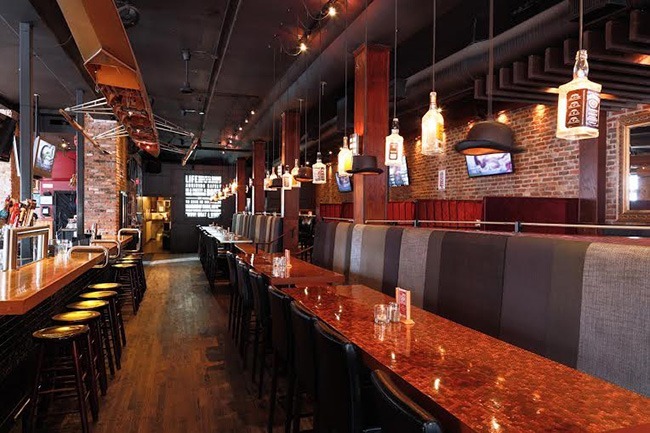 This Yaletown sports lounge is a prime place to catch the game, especially considering it has an all day happy hour. With draught beer sleeves for $3, pints for $5, and pitchers for $15 all day every day, Phat is a great place to be during screenings and audio of Monday, Thursday, and Sunday football. With daily features and a weekend brunch starting at 10 am, Colony is the place to be for every NFL game. They’ll even have Madden hooked up in the game corner for you to play. 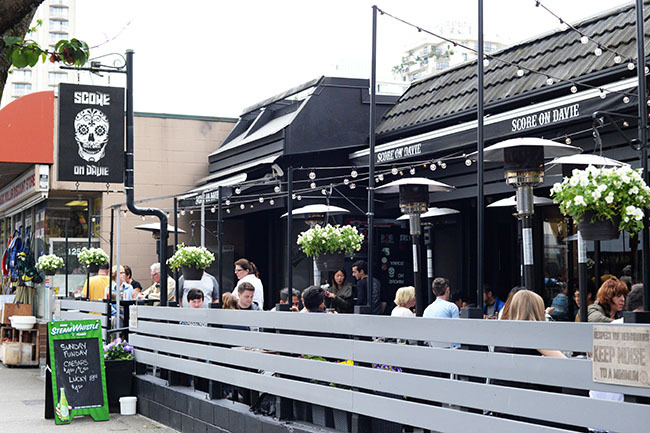 This Robson Street haunt offers drink deals every day of the week. With “Pitcher-Perfect Thursdays” and “Caesar Like A Sunday Morning” this is a great option for football days. All you need is a Cambie Platter and a drink to be set for the big game. 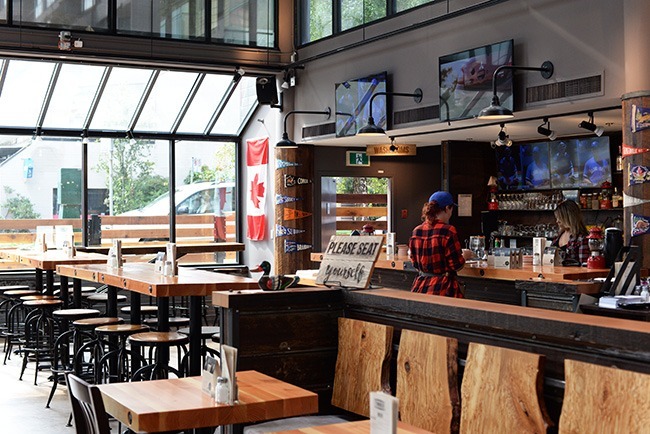 The Cambie is a solid place to head with friends to watch the game and grab cheap drinks, you can even play a round of beer bong in between halves if you’re up for it. Score on Davie is already counting down to the Super Bowl while still showing regular season games in the meantime. Red Card has weekly prizes up for grabs when you come to brunch and ball on Sundays. With a selection of large draught beers and an extensive food menu, Red Card is a firm favourite for televised sports games. This North Shore hangout offers drinks specials on Sundays. The atmosphere assures a solid fan-friendly time during a round of football. The Donnelly Pubs will be offering special extended NFL Happy Hours on Sundays and Mondays throughout football season. Happy hour runs from 10 am – 3 pm with discount drink features at every pub. Lamplighter Public House NFL Sundays include over a dozen TVs, 2 projection screens, and a prize every week. The Donnelly Group has your Monday Night Football covered too, from 3 to 9 pm head to any one of their pubs for Happy Hour deals every week. These spots will have you covered from regular season games to the Super Bowl in February, if a game is on it’ll be on their screens. * This post was originally published in 2016, but information has been updated for the 2017/18 season.